By Dean L. Jones, C.P.M. When speaking business, using good advertising is unquestionably a good way to sell products and services. In view of that, by employing a celebrity to endorse a product when advertising greatly strengthens the selling message. This is why when making a purchase of a sugary-filled product not only should you be alert of the negative effects that processed sugar has on the body, be aware not to make the purchase as a result of seeing your favorite athlete making a pitch for the product. Especially now that we are freshly on the heels of the 2012 Olympic Games there are lots of endorsement deals taking place with the winning athletes. The fastest man on the planet, Usain Bolt of Jamaica will undoubtedly be asked to drink on camera much more Gatorade to build upon his current endorsement. Be alert that the ingredients in Gatorade include water, sucrose (table sugar), dextrose, citric acid, natural flavor, sodium chloride (table salt), sodium citrate, monopotassium phosphate, and flavoring/coloring ingredients; some Gatorade flavor variations use brominated vegetable oil as a stabilizer. 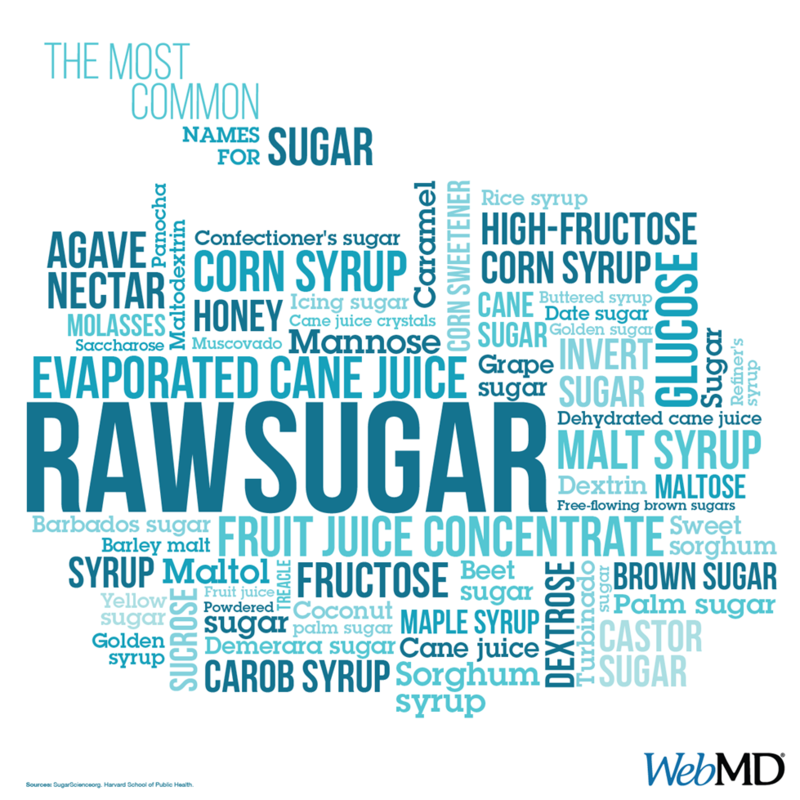 Note that the number two and three ingredients are processed sugars. Basketball player Kobe Bryant has a number of product endorsements, but the one fitting this discussion is his promotion of the sugary-soda Sprite that consists of carbonated water, high fructose corn syrup, citric acid, natural flavors, sodium citrate and sodium benzoate. The number two ingredient is really troublesome for health as fructose is the main thing that attributes to developing Type-2 diabetes. Powerade is a sports drink that Lebron James endorses. The ingredients are water, glucose, fructose, citric acid, mineral salts (sodium chloride, magnesium chloride, calcium chloride, potassium phosphate), flavourings, acidity regulator (potassium citrate), stabilisers (acacia gum, glycerol esters of wood rosins), sweeteners (sucralose, acesulfame K), and colour (brilliant blue). This sports drink comes in a large variety of flavors making it very attractive, but has an abnormally large amount of sugars in the number two, three, and nine position of ingredients. Sucralose is approximately 600 times as sweet as processed sugar, twice as sweet as saccharin, and 3 times as sweet as aspartame. Sucralose contains chlorine that can be dangerous to digestion and negatively effecting health. Chlorine is considered a carcinogen and has been used in poisonous gas, disinfectants, pesticides, and plastics. The digestion and absorption of sucralose is not clear due to a lack of long-term studies on humans. The majority of studies were done on animals for short lengths of time. The alleged symptoms associated with sucralose are gastrointestinal problems (bloating, gas, diarrhea, nausea), skin irritations (rash, hives, redness, itching, swelling), wheezing, cough, runny nose, chest pains, palpitations, anxiety, anger, moods swings, depression, and itchy eyes. Stay sugar alert when celebrity influence highlights consuming a sugary-filled item. Clearly, endorsements pay bills, but can set in motion ills. Mr. Jones is a marketing strategist with Southland Partnership Corporation (a public benefit organization), sharing his view on mismanagement practices of packaged foods & beverages. Robert H. Lustig, MD, UCSF Professor of Pediatrics in the Division of Endocrinology, explores the damage caused by sugary foods. He argues that fructose (too much) and fiber (not enough) appear to be cornerstones of the obesity epidemic through their effects on insulin. Neal Barnard MD discusses the science behind food additions. Willpower is not to blame: chocolate, cheese, meat, and sugar release opiate-like substances. Dr. Barnard also discusses how industry, aided by government, exploits these natural cravings, pushing us to eat more and more unhealthy foods. A plant-based diet is the solution to avoid many of these problems. Neal Barnard is the founder of the Physicians Committee for Responsible Medicine (PCRM).